Lightweight and breathable, these outdoor shoes are designed for approach, but geared up for climbers. The abrasion-resistant ripstop upper has a protective toe cap that wraps up around the big toe. A high performance Traxion outsole provides maximum grip with an approach-specific design. Lightweight and breathable, these men's outdoor shoes are designed for approach, but geared up for climbers. The abrasion-resistant ripstop upper has a protective toe cap that wraps up around the big toe. A high performance Traxion outsole provides maximum grip with an approach-specific design. 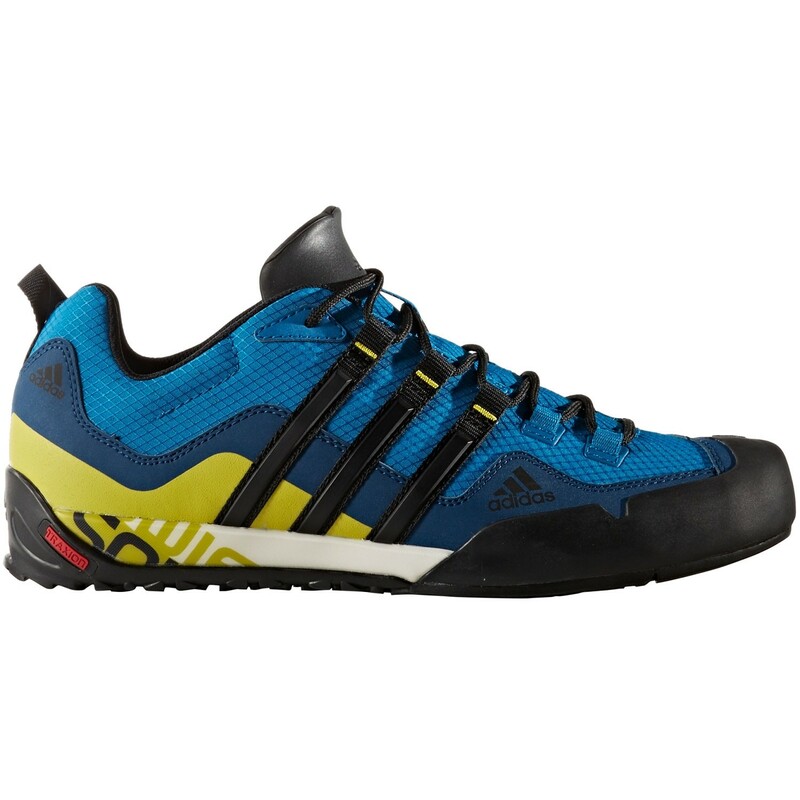 The Adidas Terrex Swift Solo is not just an approach shoe, it really is genuinely decent to climb in. If you do a lot of scrambling, long easy multipitch, routesetting or group work they will be ideal, offering sticky rubber and a precise toe but with the comfort of a trainer. James from our shop has even climbed 7b at Raven Tor in a pair! Upper: High abrasion mesh upper for extra durability.